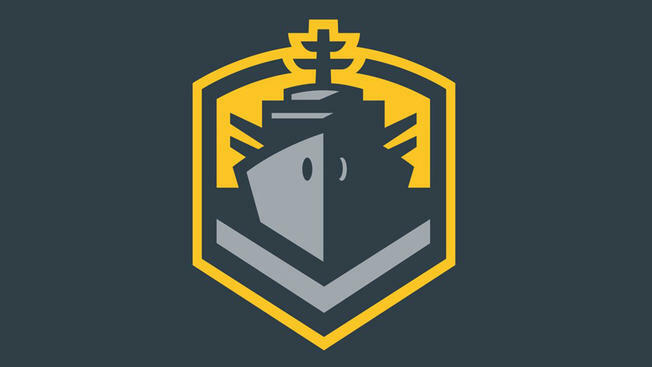 The San Diego Fleet lost a well-fought battle to the Birmingham Iron last Sunday night. After tying the game late in the fourth quarter, a series of defensive mistakes and a costly penalty would eventually lead to a game-winning field goal by Iron kicker Nick Novak. Despite dropping down to a 3-3 record, the Fleet maintained their second place spot in the Alliance of American Football’s Western division and are still very much in the playoff hunt. 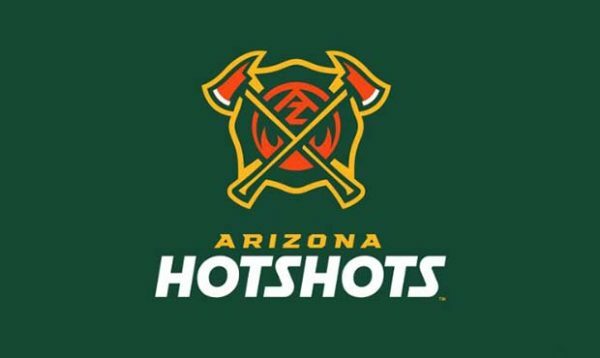 The Fleet will travel to Tempe, Arizona to face off against the Arizona Hotshots, who are currently tied with San Diego for the second spot in the Western division. A win will give the Fleet sole possession of that second place spot, while a loss will slide them down to third place. The biggest news coming out of San Diego this week is the health of wide receiver Dontez Ford. The former Pittsburgh Panther caught three passes for 182 yards last weekend against the Iron and is third in the entire league with 435 receiving yards. Ford was injured diving for the end zone in the second half of last week’s game. He was seen in camp with a walking boot and has not participated in practice this week. 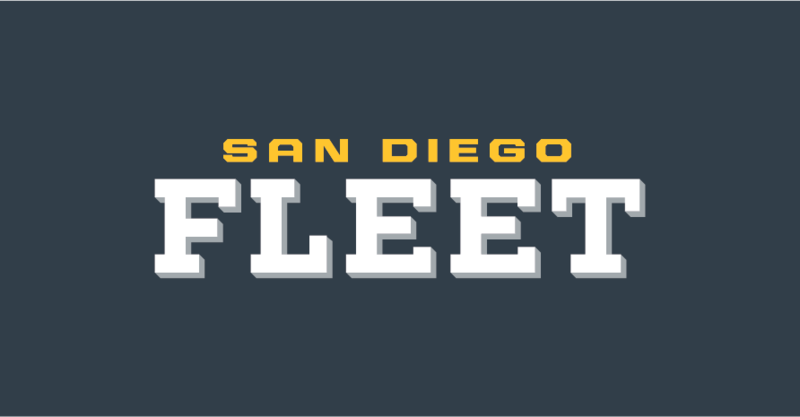 The Fleet also re-signed wide receiver Shay Fields this week, almost guaranteeing that Ford will not play this week and may even be out for an extended period of time. This is obviously a massive blow for the Fleet offense, as Ford has been their best and more reliable receiver for the majority of the season. San Diego has been plagued with drops by wide receivers all season and losing the one player that does not struggle in that aspect will not help this offense. His absence likely means an expanded role for wide receivers Francis Owusu and Brian Brown. Mike Bercovici has played well since he was re-inserted into the starting lineup after a collarbone injury that would eventually prove to sideline former starter Philip Nelson for the remainder of the season. The former Arizona State Sun Devil has thrown for 615 yards and four touchdowns with a passer rating of 79.5 since his return. Bercovici’s biggest flaw, however, has been his lack of accuracy and knack for turning the football over. His completion percentage is very poor, 50.6%, and he has thrown three interceptions as well. These stats do not account for the numerous amount of passes that Bercovici has thrown that should have been intercepted. The fact of the matter is this: Bercovici has put up solid passing numbers, but his overall play has hurt the Fleet just as much as it has benefitted them. In what is arguably their most important game of the season, Bercovici is going to have to step his game up and perform well. The Hotshots’ overall defense is quite stingy and Bercovici will have to take advantage of this. He needs to start taking the easier reads instead of trying to hit on a “home run” pass. If Bercovici can protect the ball the Fleet is easily one of the best teams in the entire league. If he continues to struggle with this aspect of the game, however, then there is certainly room for concern for Mike Martz. There may not be a more impactful defensive unit in the entire AAF than the Fleet’s defensive line unit. Week after week the Fleet defensive line has dominated their opponents and given the team a chance to win every game they have been in. This past performance against the Iron, however, was easily the best we’ve seen this unit perform all season. Birmingham Iron quarterback Luis Perez was under pressure for 52% of his passing attempts this past week against the Fleet and it definitely affected his performance. Both of his interceptions, which ultimately were a huge factor as to why San Diego was able to stay in the game, were caused because of pressure brought upon by the defensive line. This unit accumulated three sacks and fifteen quarterback hits last weekend, while also making Perez uncomfortable all night long. Damontre Moore has continued his dominance on opposing offensive lines. 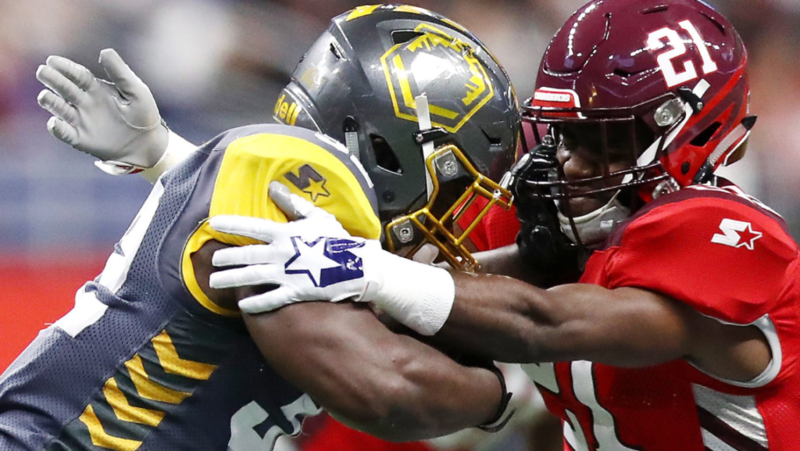 The former third-round pick by the Giants has totaled five sacks on the year and leads the AAF in both quarterback hits and quarterback pressures. He is easily the most important player on this defensive line, but there have been others that have performed well. Shakir Soto, Alex Barrett, Gelen Robinson, and Meffy Koloamatangi all have played well in expanded roles this season and have garnered high praise from Pro Football Focus. Others, such as Tani Tupou and Andrew Stetler, have stepped in and given the Fleet a dominant presence down low. This defensive line is not only very talented, but it is also very deep and allows for all of these defensive linemen to be well-rested throughout the game. San Diego needs this unit to continue to play well if they want to seriously contend for an AAF championship. The Arizona Hotshots were easily one of the most talked about teams before this season started. Many analysts and experts pegged them as the favorites to win the Western division, while others spoke of potential championship aspirations for this group. Head coach Rick Neuheisel and his squad have been a tad bit inconsistent this season, however. After starting this season out with a 2-0 record, the Hotshots dropped their next three games before finally righting the ship and beating the Orlando Apollos last weekend. With a 3-3 record, the Hotshots are still very much alive in the playoff picture. They are only a game behind the first place San Antonio Commanders and are tied with the Fleet for second place. Arizona still has to play the Commanders one more time this season and San Diego twice, which means that the Western Division playoff picture will certainly start to finalize itself after all these matchups. For both teams in question, this could be the most important game of the season. The loser of this matchup will fall to 3-4 on the season and could potentially see their hopes at a division title vanish before them. The winner will improve to 4-3, securing a one-game lead in the division over the other and potentially jumping into first place if the Commanders fall to the Salt Lake Stallions this weekend. Despite their inconsistencies on the year the Hotshots know how to put points on the board. Quarterback John Wolford has played well this year, completing 60.1% of his passes for 1,188 yards, 11 touchdowns, and six interceptions. Running back Jhurrell Pressley currently leads the league in rushing yards, 343, and gives the Hotshots a viable running game to compliment their strong passing attack. Wide receiver Rashad Ross has been absolutely electric this season, catching 29 passes for 452 yards and a league-leading six touchdowns. This trio of offensive players gives the Hotshots an extremely solid group to work with moving forward. Outside of these three, however, the Hotshots do not have much offensive depth. Ross is the only receiver on this team to catch a touchdown pass and while Tim Cook is a decent player, he is not a legitimate offensive threat. Their offensive line is a definite weakness for this team and has lost them games this season. This lack of offensive depth and poor offensive line play do benefit the Fleet. Their defensive line is their strongest unit and could absolutely eat this Hotshots’ offensive line alive while also neutralizing the Hotshots running game. As for the lack of offensive depth, the Fleet need to hone in on stopping Rashad Ross and forcing the rest of these players to step up and beat them. Ross is easily Wolford’s favorite target and making him find someone else could push him out of his comfort zone. The biggest matchup in this game is without a doubt the Fleet’s defensive line against the Hotshots’ offensive line. San Diego’s defensive line has been absolutely dominant in recent weeks, while the Hotshots’ offensive line has struggled to hold up against any type of pass rush. If the Fleet’s defensive line has a performance similar to how they played against the Iron, then quarterback John Wolford is going to be under pressure and uncomfortable for the majority of this game. The Hotshots’ offensive line is not going to stop the Fleet defensive line but they do need to at least be able to neutralize this pass rush so that it is not completely dominant. This could very well be the deciding factor in how the game turns out. This game will be a back and forth affair, in my opinion. Two divisional rivals going up against each other in order to hold onto a playoff spot will almost certainly make for an interesting game. In what could possibly be the best AAF game thus far, the Fleet will defeat the Hotshots by a score of 24-20. 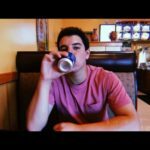 Mike Bercovici will improve his play in a return to his old collegiate stadium and the Fleet defensive line will be too much for the Hotshots to handle. San Diego will improve to 4-3 while the Hotshots will fall down to 3-4.